If you are like me, then you probably have tons of questions about Property Transfer Tax. Do I have to pay it? What happens when I sell my house? What if I want to give my house to my children? Are there any rebates, discounts or first-time homebuyer benefits? I’ve come across a nice article from David Simon – which is quite helpful in some of the odd particulars of Property Transfer Tax, like adding someone’s name to title – does that constitute a sale subject to property transfer tax? I’m by no means an expert nor a lawyer – should you consult your own lawyer if you have a particular situation or question? Yes. If you want to shoot me over a quick question, or get some recommendations on who you should really be speaking to, please hit up the comment section below or on my contact form. For all you lucky Albertan’s, you’ve probably never encountered nor will you ever hear about this strange thing we call property transfer tax. 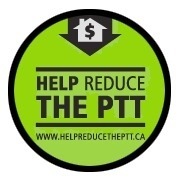 “I am often asked how a person can add someone to a title without paying property transfer tax. Usually that person contributed to the acquisition and has been helping paying the mortgage. Unless the person is a “related individual” as defined in the Property Transfer Tax Act and the transferor or the transferee has been living there as his/her principal residence for at least 6 months, then property transfer tax has to be paid. A related individual under the Act is a direct relative, e.g. son, daughter, parent grandparent. Siblings and aunts and uncles do not fall within the definition and the transfer tax has to be paid for transfers to them. I have been asked if a company can transfer its property free of property transfer tax to its shareholders. The answer is no as the company is a separate legal entity from its shareholders. Only if the company was holding the property in trust and the trust declaration was registered when the transfer to the company was registered, can the transfer be done free of property transfer tax. 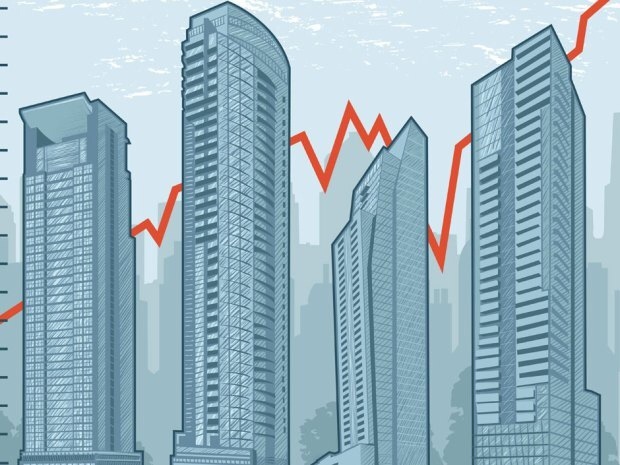 Real estate has been a hot investment area in Canada for quite some time now due to favorable economic conditions, immigration, and historically low interest rates. Canadians who have taken advantage of these conditions are sometimes confused about the measures they can take to reduce their tax burden. CCA is an election, meaning that it is the taxpayer’s choice whether or not to use it. The drawback to CCA is that it is recaptured in the year you sell your property, meaning that the historical CCA you’ve taken will be added back on income account to your tax return if you sell the property for anything more than your current un-depreciated capital cost (i.e. the cost of your property less the CCA claimed on prior tax returns. Prior to the change, the First Time Home Buyer Exemption was capped in the Lower Mainland at $425,000.00 and there was a sliding scale between $425,000.00 and $450,000.00. The new cap effective Feb. 19, 2014 is $475,000.00 and there is a sliding scale between $475,000.00 and $500,000.00. There might be more than a few of us hanging our heads as we skulk past the Salvation Army kettles, hands in our pockets and eyes averted, after a survey this week pointed out that we are donating not only fewer dollars but also a declining percentage of our income to charity than in prior years. According to the Fraser Institute’s annual “Generosity Index” released earlier this week, a lower percentage of tax filers donated to charity in Canada (22.9%) than in the United States (26.0%). Similarly, Canadians (at 0.64%) gave a lower percentage of their aggregate income to charity than did Americans (at 1.33%). So, if your lack of giving during this holiday season is causing you some guilty pangs, there are actually a couple of ways to make giving a bit less unsettling by using the tax rules to decrease your after-tax cost of donating. But to encourage “new” donors to give to charity, the 2013 federal budget introduced the temporary FDSC which provides an additional 25% non-refundable tax credit for a “first-time donor” on up to $1,000 of donations. A first-time donor is someone who hasn’t claimed a donation credit after 2007. If you’re married or living common law, neither you nor your spouse qualify if either of you has made a donation after 2007. While first-time donor couples can share the FDSC in a particular year, the total amount claimed can’t exceed the maximum allowable credit. The FDSC is available for donations made on or after March 21, 2013 and the credit can only be claimed once in either 2013 or any year until 2017. Does your home office qualify for deductions against household bills? If you were self-employed this past year, now is a good time to start gathering your paperwork to file your 2013 tax return. And remember some of the expenses you incur for your home may be deductible from business income if you have an office or other work space there. Your home office expenses may be deductible in two situations: First, if your home is your principal place of business — that is, you do not have an office elsewhere. Second, if you have an office outside your home, your home office must be used exclusively for your business, and must be used on a “regular and continuous basis” for meeting clients, customers or patients. It’s not always clear how many meetings you need to have in your home office to meet the “regular and continuous” requirement, but it will depend on the nature of your business and your situation. The Canada Revenue Agency provides an example of a doctor who has offices both outside and inside his home. He uses his home office to meet one or two patients a week. The CRA says this work space would not be considered used on a regular and continuous basis for meeting patients. However, a work space used to meet an average of five patients a day for five days each week clearly meets the requirements. This example clearly shows there is a large grey area in what the CRA considers to be regular and continuous. If you have offices inside and outside your home and you want to deduct home office expenses, be prepared with enough information to support your claim that you use your home office on a regular and continuous basis for your business. If your home office meets the requirements, the portion of your house expenses that can be claimed as business expenses will normally be based on the fraction of your home used. You can usually exclude common areas such as hallways, kitchen and washrooms when making the calculation. For example, if your home office is a 200 square foot room (or 18.5 square metres) and the total area of living space in your house (bedrooms, living room, dining room and the office) is 2,000 square feet (186 square metres). As long as your home office qualifies, you can claim 10% of your eligible costs. The expenses you can claim include rent, if you are a tenant, mortgage interest if you own your home (but not the principal portion of blended mortgage payments), property taxes and home insurance. You can also claim expenses for utilities such as electricity, heat, water and gas. But there are also some less obvious expenses that can be claimed, such as garden service, driveway snowplowing and minor repairs. You will need to keep receipts on file; do not simply estimate your expenses. You can claim capital cost allowance (CCA) on the appropriate fraction of your home, but this is often not advisable. If you do, the CRA will take the position that fraction of your home is not part of your principal residence and it will disallow your claim for the principal residence exemption from capital gains tax for that portion of the home when you sell. Any CCA you claimed can also be “recaptured” into income when you sell your home. Keep in mind home office expenses can only be claimed against income from your business. As such, you cannot use home office expenses to produce an overall business loss that is applied against other income. However, losses disallowed because of this rule can be carried forward and used against income generated from the same business in another year. Of course, supplies that relate exclusively to your home office are fully deductible and not subject to these restrictions. Those expenses would normally include a separate business phone and Internet connection, printer paper, printer or photocopier toner cartridges, computer repairs (assuming your computer is used only for your business), and so on. Since many of the requirements for deducting home office expenses depend on your individual circumstances, it’s important to carefully document your claims so you can back them up if the CRA asks you to.